KATHMANDU, Jan 20: Suleeporn Laomi and skipper Sornnarin Tippoch picked three and two wickets respectively to help Thailand Women’s national cricket team to bundle out Nepal for 51 runs in 17.2 overs and register a 70-run win to lift the Thailand Women’s T20 Smash in the final match played at Terdthai Cricket Ground, Bangkok on Saturday. This is Nepal’s first defeat in T20 international matches since earning the status at the start of 2019. It had defeated Malaysia, China, and the United Arab Emirates during group stage and Indonesia in the semifinal to reach final unbeaten. However, in the battle between the two unbeaten teams of the T20 smash organized by home team’s cricket association, Thailand went on to win the tournament without losing a single game. 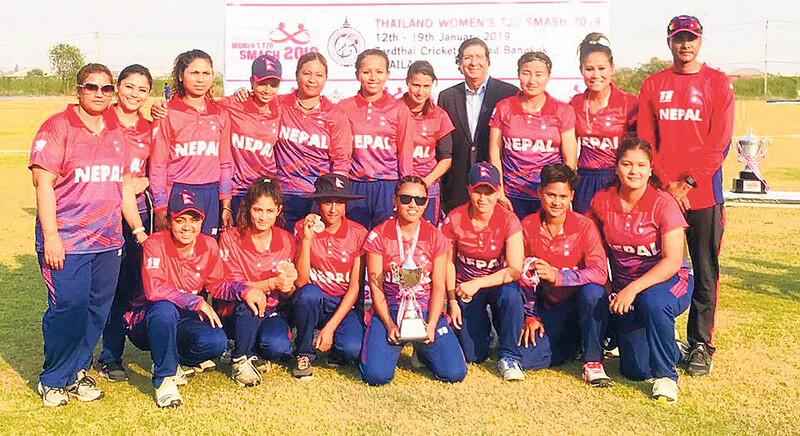 Nepal failed to chase the target of 122 runs as Chanida Sutthiruang, Nattaya Boochatham, Onnicha Kamchompu and Sainammin Saenya shared a wicket each. Nary Thapa top-scored for Nepal with 17 runs from 37 deliveries followed by Sita Rana Magar’s 13 at the top of the innings as only other double digit scorer of the innings. 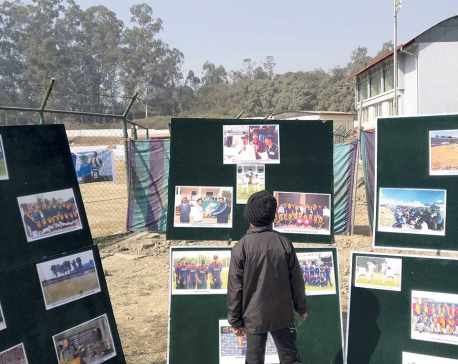 Nine players were dismissed for single digit scores including three ducks- Indu Barma, Dolly Bhatta and Kabita Kunwar. Skipper Rubina Chhetri and Karuna Bhandari scored five and four runs respectively. Earlier, Nepal won the toss and elected to field first. Nattakan Chantham starred with the bat scoring unbeaten 69 runs from 67 deliveries including for boundaries. Similarly, Sutthiruang made a brisk unbeaten 19 runs from 11 deliveries including a boundary to push the Thailand total to 121 runs at the end of 20 overs for the loss of one wicket.Nepal skipper Chhetri enforced a run-out to dismiss Naruemol Chaiwai for rearguard innings of 27 runs from 42 deliveries at top of the innings. None of the seven bowlers who were used by Nepal were able to pick up any wicket in the match.